Let this pink dragonfly tag brings cheer to another young child who's feeling under the weather. Put within it a touch of spring with the pink colour theme. What a surprise she will receive when she opens the envelope and find this pink tag in it; especially with the cute dragonfly. Can be done together with your daughter whose friend is not feeling too well. Maybe this will help cheer her up. This was a tag for a little Chinese girl. The Chinese character 春 is handwritten with a fine black marker and it means spring. But it's ok :-) It's pink and though it does not blinks, it's sweet. 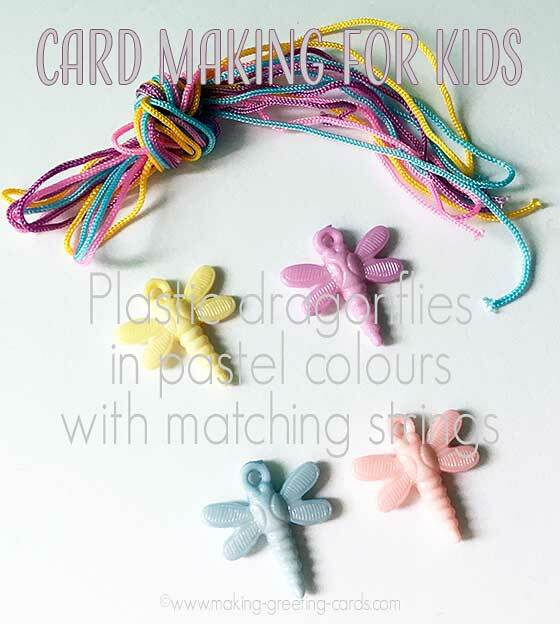 Below are the colourful dragonflies I have in my toolbox of card making supplies for kids. I have quite a few of these with matching Chinese strings; baby blue, sweet pink, light yellow and lilac. Have been wondering what to do with them and today decided to make a spring tag for a little girl. 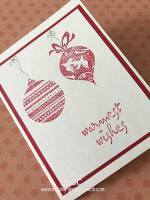 big white card-stock 2.3/4" x 4.5"
small white card-stock 1.3/4" x 4"
pink card-stock 2.5" x 4.1/4"
spring rubber stamp if you don't want to handwrite. 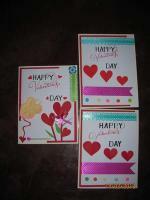 Glue small white card-stock onto the pink card-stock with double-sided tape. 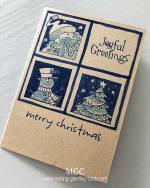 Ink the spring stamp with black ink pad and stamp on the stamped circle image. Cut around the circle leaving a tiny white border. Use double-sided tape to attach to top of small white strip card. Tie Chinese string to the dragonfly charm. 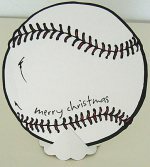 Attach the whole assembly onto the big white card. Stick on the reinforcement rings on both side of punched hole. 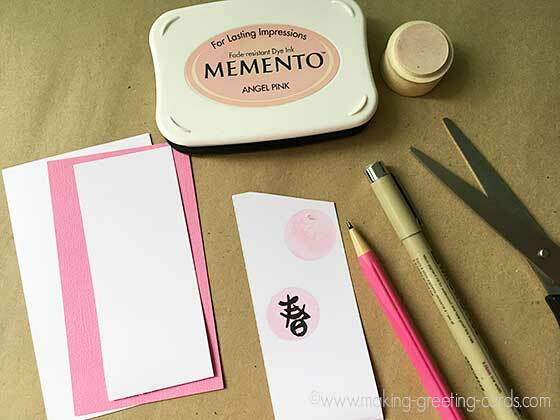 Glue the pink dragonfly onto the card with uhu glue. Fold and insert a Chinese string into the hole and tie a knot. Viola! A pink cute tag to celebrate spring or to bring spring back into any little girl's heart. Hope this will make a little girl sit up and get well soon.